It feels odd to talk about business opportunities in Africa in 2019. Over the last couple of years, Africa has been at the center of the global migration debate, particularly in Europe and North America. Thousands of Africans have been fleeing the continent. Some leave through legal emigration programs, while many others via illegal and deadly migration routes across the Sahara and the Mediterranean. And why are all these people running away? The main reason: Africa has too many problems. There are no jobs. And very few opportunities. At the same time, there are two exciting new trends that are unraveling before our eyes. The first trend is the growing number of people from the USA, Europe, China, India and the Middle East who are flocking to Africa in search of a precious resource. No, they’re not looking for crude oil, mineral resources, or commodities. 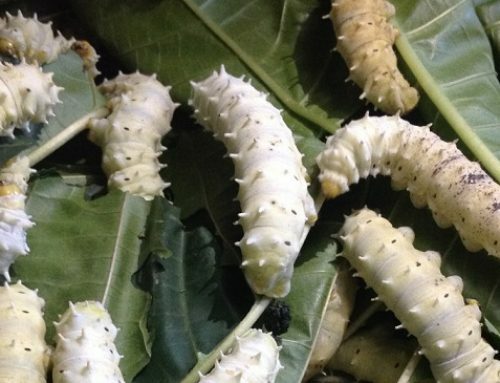 They’re looking for something else that Africa has in abundance: unique problems. The second trend is the rising number of people on the continent who are creating new and innovative products and services that are starting to catch the world’s attention, and attracting millions of dollars from both local and international investors. 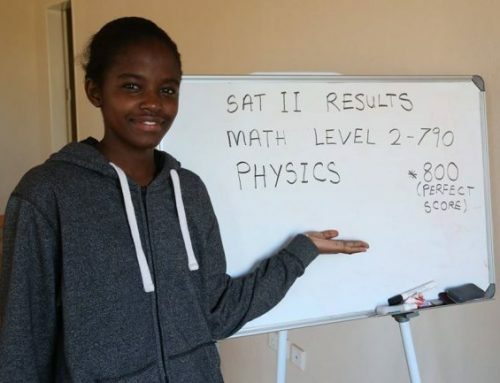 Their secret: they focus on solving Africa’s unique problems. Can you see the irony yet? 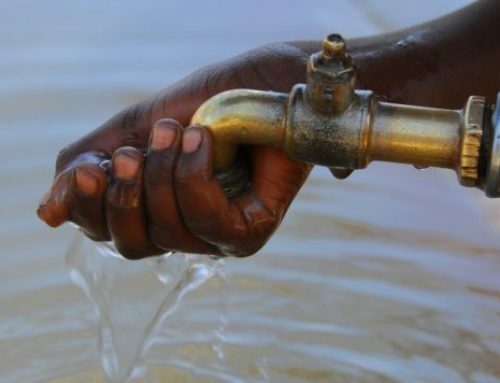 While Africa’s abundant supply of tough problems is causing thousands to flee its shores, these same problems are inspiring a gold rush by entrepreneurs and investors who are excited by the opportunities these problems present, and the rewards that will flow from cracking them. This article tells the exciting side of Africa’s story that most of the world doesn’t yet know. 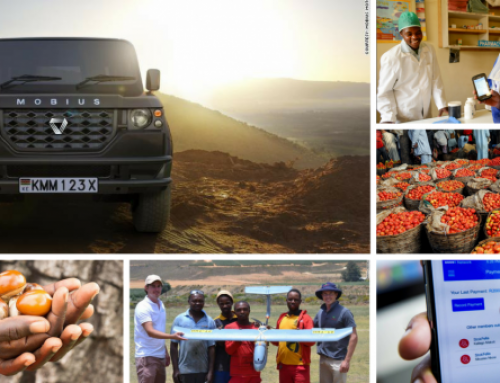 In this article, you’ll get a glimpse of 11 of the most promising business opportunities in Africa that are creating wealth and jobs on the continent, and will very likely make more millionaires this year. And you will notice they all have one thing in common: they focus exclusively on solving tough problems. Every year, Africa loses thousands of jobs and billions of dollars in potential income by exporting unprocessed, non-value-added commodities like raw cocoa and coffee beans. And then when these commodities have been transformed into premium chocolate and gourmet coffee by factories in North America and Europe, we spend even more money to import the value-added products back to Africa. As a result, while chocolate and processed coffee represent a lucrative global market that is worth over $100 billion annually, thousands of African cocoa and coffee farmers remain trapped in extreme poverty. This absolutely makes no sense. 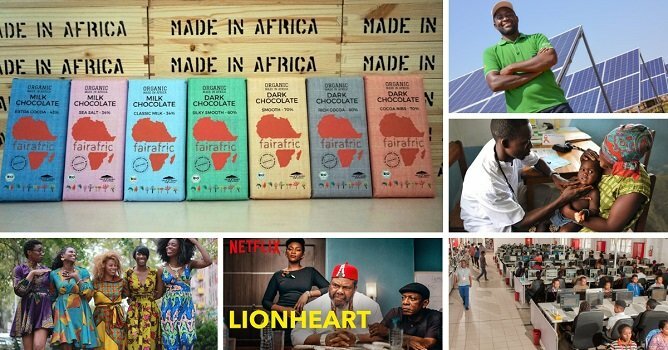 Thankfully, this anomaly has opened gaps in the market for startups like FairAfric and Garden of Coffee to develop uniquely African product brands that have the potential to become big hits on the international market. 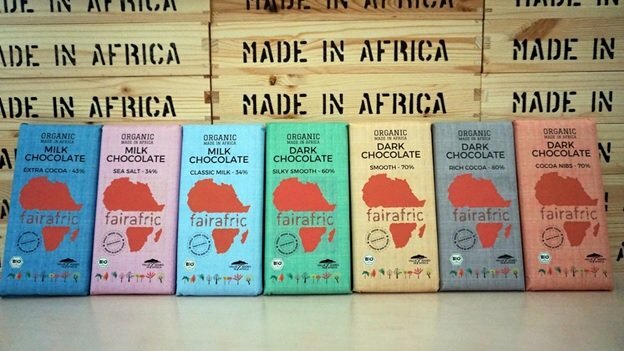 By focusing on ‘Made in Africa’ organic chocolate bars made from cocoa beans which are harvested and processed in Ghana, FairAfric is targeting ethically-conscious consumers in Europe with its impressive range of organic chocolate brands. In 2018 alone, the business made and exported over 250,000 chocolate bars, and raised about €50,000 from investors on Kickstarter. The same change is coming to African coffee too. Ethiopia is widely acknowledged as the birthplace of coffee, and is one of the world’s largest coffee bean producers. It also has some of the oldest coffee crafting techniques passed down over centuries. Still, when you mention coffee, most people are likely to think of ‘Starbucks’ and not Ethiopia. That’s why Garden of Coffee, an emerging coffee brand from Ethiopia, could be a game-changer for the continent. Founded in 2016 by Bethlehem Alemu, the business roasts 5 types of Ethiopia’s legendary coffee and ships them to over 20 countries, including Russia, Sweden, Germany, and the USA. In August 2018, Garden of Coffee launched in China, a tea-loving market that is increasingly turning towards coffee. And by 2022, the company’s big plan is to open over 100 café roasteries across China. For a continent that produces over 70% of cocoa beans used in chocolate and roughly 11% of coffee beans, Africa has a unique opportunity to create strong product brands that can attract premium prices from foreign consumers. On top of that, thousands of jobs and small businesses will be created and supported by adding value to raw commodities like cocoa and coffee beans. But cocoa and coffee are only the beginning of a much bigger wave of business opportunities in Africa for value-added food exports. 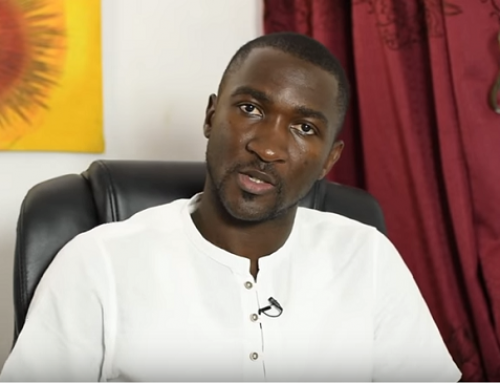 With entrepreneurs like Momarr Mass Taal in the Gambia building lucrative businesses from the export of locally-processed dried mangoes and groundnuts, this year will likely see more entrepreneurs join the fray to develop unique African product brands for export. While policymakers in Europe and North America debate about the most fitting energy transition strategy for their countries, Africa presents a clean and open slate for renewable energy, especially solar. 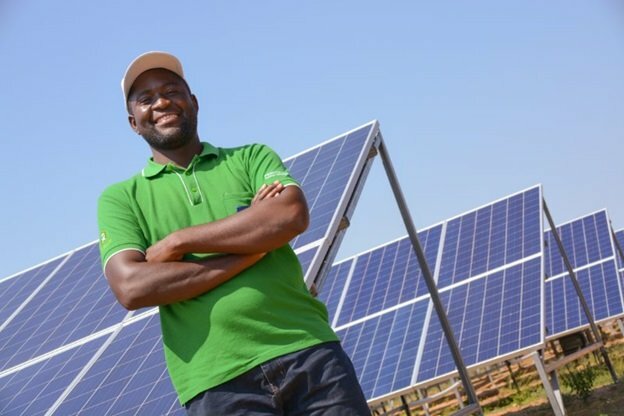 The race to spread solar power across Africa is now a multi-billion-dollar industry that continues to attract entrepreneurs and investors from within and outside the continent. What makes solar one of the most attractive business opportunities in Africa right now is the significant potential for off-grid solar solutions. And the demand is massive. Over 600 million Africans are tired of waiting for energy from centrally-managed power grids that are slow to deploy, inefficient, and inflexible to the continent’s growing power needs. And on a continent that enjoys over 300 days of sunlight in many parts, it’s hard to beat the value proposition of a product that bypasses the central power grid and meets your energy needs by tapping directly from the sun, a free energy source. That’s why the solar market in Africa has exploded and the number of players in this space continues to grow. Last year, BBOXX, a solar systems developer, signed a landmark deal with the government of DR Congo to deploy off-grid solar kits and mini-grids to 2.5 million citizens. In the DRC, it is estimated that over 60 million people are still not connected to the grid. In Togo, the company has also entered a $4 million partnership deal with the government to supply 300,000 homes with off-grid solar kits. So far, BBOXX has raised more than $66 million from investors to increase its footprint across Africa. But this is just one company. There are several others. Solar players like M-Kopa, Offgrid Electric, Azuri, Mobisol, Lumos, GLP and others are strategically penetrating Africa’s off-grid solar energy market in countries like Kenya, Ethiopia, Nigeria, Ghana and Tanzania, and have received roughly $1 billion from investors so far. And this is only the beginning of a big party that is far from getting started. As the continent that emits the lowest levels of CO2 but has the most to lose from climate change, Africa’s solar entrepreneurs will benefit immensely from funds like the World Bank’s $200 billion Climate Action Fund, and funds from the private sector like Shell’s $1 billion annual budget for clean energy. As more funds and players try to serve Africa’s massive demand for off-grid solar solutions, this will surely be an exciting industry to watch. There is a trend of ‘academic inflation’ currently happening across Africa. To compete for limited job opportunities, Africans in the labour market are investing in higher or specialised academic degrees, diplomas, and certifications in order to make their CVs (résumés) more impressive, and boost their chances of employment, promotion, and career progression. Learning institutions outside Africa are also benefitting from the explosion in demand for higher and specialist education. The top destinations are universities in North America, Europe and Australia. Academic degrees from the US and UK now cost Africans an average of up to $50,000. 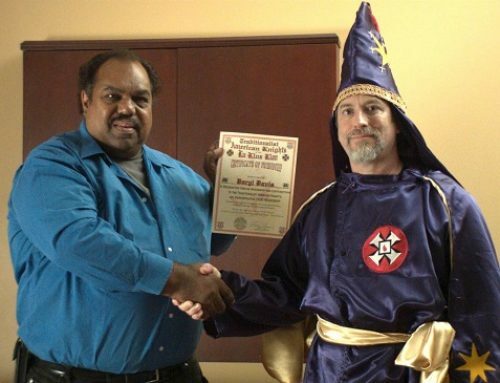 Worse still, the overwhelming demand for higher education in Africa has now led to a string of fake universities in Europe and America that are involved in an elaborate multi-million-dollar scam of offering admission for non-accredited courses, degrees, and programs. While the demand side for quality higher education in Africa has dramatically evolved, the supply side largely remains as it’s been for more than 40 years. The truth is the traditional business model of sprawling, location-based, and come-to-us-if-you-want-to-learn university campuses can no longer match the current growth and sophistication of demand for higher education on the continent. People want flexible learning options that allow them work, learn, and earn, all at the same time. 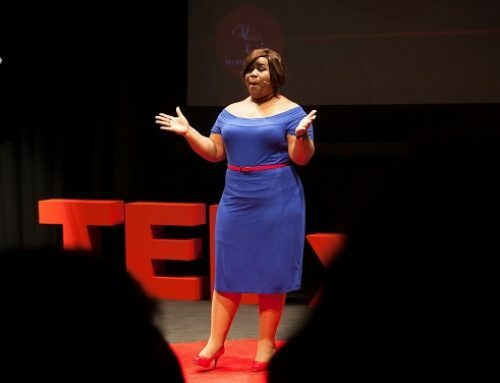 Africa’s higher education systems are ripe for disruption and there are already a few interesting entrepreneurs, investors and players leading the charge. UNICAF is a virtual education startup that partners with accredited universities around the world to offer online degrees to underserved markets, with a focus on Africa. Its online platform provides access to affordable higher education to Africans who want flexible learning options, have work obligations, or cannot afford conventional tuition fees. With more than 16,000 students currently enrolled in its programs, UNICAF recently raised €25 million from investors, comprising investment banking giant Goldman Sachs, Edex, the UK’s CDC Group, and University Ventures. The funds will be used to grow student enrolment to 100,000 over the next 5 years. The African Virtual University is also another trailblazer disrupting the conventional model of higher education on the continent. 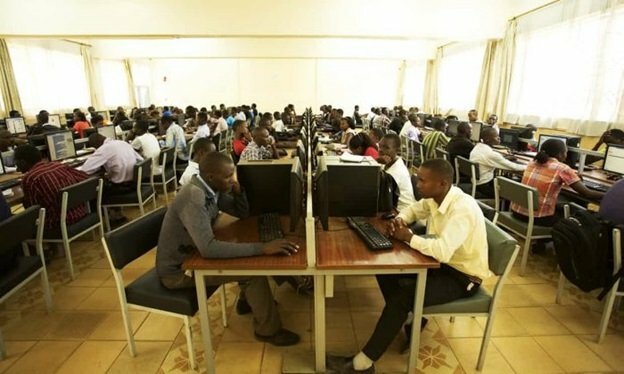 In partnership with universities within and outside Africa, the intergovernmental organisation has already trained 43,000 students using its virtual online platforms. By the year 2040, PwC estimates that Africa will have the world’s largest labour force, ahead of both India and China. To address the current and future skills shortages in this market, smart entrepreneurs and investors are cornering a potentially lucrative market by focusing on flexible and scalable business models that are cost-effective, yet profitable. The growth in the virtual education space will be one of the most interesting business opportunities in Africa to watch this year. Fashion is a $2.4 trillion global industry. But Africa currently only owns a very thin slice of it. The global fashion industry has a vast and complex value chain that stretches from the farmers who grow cotton, silk, and other natural fibres, to the massive production factories in Asia that spin the fibres into a wide range of textiles. The chain stretches further to the armies of workers in garment factories scattered across Asia and South America who convert textiles into a wide range of apparel stocked by mass merchandise chains around the world, and high street retail stores in New York, London, Paris and Milan. 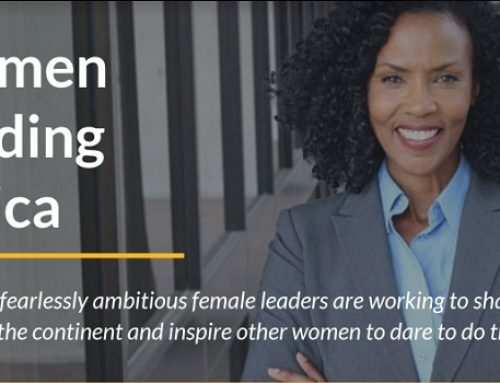 Thankfully, some creative entrepreneurs are starting to squeeze out some space for Africa in this vast and lucrative global chain. This year, two significant opportunities in the global fashion value chain will further open up to entrepreneurs and investors in Africa who are keen for a bigger share of this massive industry. The first opportunity is in apparel production. With rising labour costs in China and parts of South East Asia forcing more factories to seek alternative locations in Africa – where labour is cheaper — several apparel producers are already setting up shop on the continent. Among companies like H&M and Primark that are now sourcing from Africa, Huajian, one of China’s largest shoe manufacturers, is expanding in Ethiopia and in East Africa. Also, specialist apparel producers like C&H Garment Factory in Rwanda are producing uniforms, safety vests, and military kits that are exported to Europe and the USA. While the influx of Asian apparel producers to Africa is likely to have an impact on the continent’s indigenous textile industry, the potential of these massive factories to create large-scale jobs, earn export income, and encourage the growth of supporting industries will likely create big opportunities for local entrepreneurs. The second opportunity that stares in Africa’s face is fashion design and retail. A growing number of brilliant and creative fashion designers is emerging from the continent, and the world is starting to take notice. African fashion labels, like Senegal’s Tongoro by Sarah Diouf, are attracting international celebrities and customer bases outside the continent, in places like Europe and North America. And recently, Nike, the global sportswear giant, collaborated with a local Nigerian designer for a special edition jersey that was inspired by Adire, a traditional print from Nigeria. The design sold out within 14 hours after it was released on Nike’s website. With a growing global curiosity and appetite for exotic and refreshing fashion designs from Africa, the continent’s fashion designers and entrepreneur have a massive market and untapped global audience to serve. There are vast opportunities in potential partnerships with big and established fashion brands, distribution arrangements, e-Commerce possibilities, and artisanal and exotic fashion pieces. 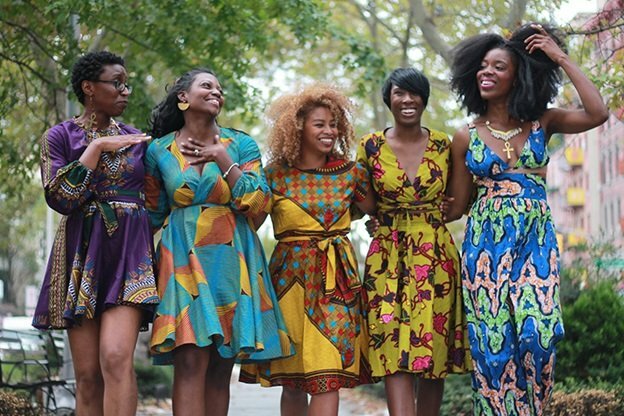 On top of these international opportunities, there is a growing domestic market of over 600 million young and fashionable Africans who now take pride in wearing locally-inspired fashion. The African Development Bank estimates that Africa’s local fashion industry has the potential to be worth $15.5 billion over the next five years. This clearly makes it one of the most promising business opportunities in Africa to watch. Business Process Outsourcing (BPO) is now a huge multi-billion-dollar transnational industry that is expected to reach $52 billion in market size by 2023, growing at an average rate of 11% per year. The rising dominance of e-Commerce and the digital economy is leading companies to demand for more data, real-time services, and a presence across multiple platforms. As a result, more companies are outsourcing their accounting, data processing, customer service, human talent, and supply chain needs. While India and the Philippines have benefitted from the explosion of IT outsourcing demand in the USA and UK, Africa has become the big player in BPO for the global Francophone market. The number of BPO companies in Morocco, Tunisia, Senegal, Mauritius and Madagascar continues to skyrocket. In Morocco, the BPO market leader in Africa, the industry employs over 70,000 people. 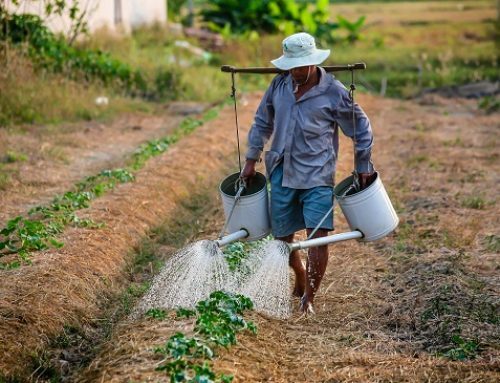 And in Madagascar, the number of BPOs have grown from just a handful in 2005 to 233 firms in 2018. More BPOs are setting up shop on African soil for a variety of reasons. The lower cost advantage of running BPO centres in Africa means that companies can be more competitive and profitable. Also, internet speeds in places like Madagascar are faster than in several developed countries, thereby significantly improving the quality of service. 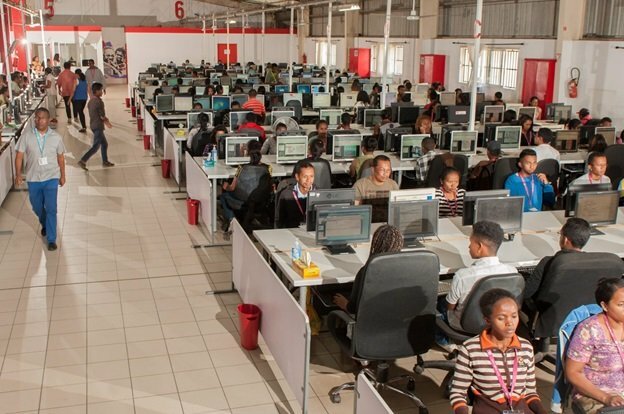 In Kenya, BPO firms like Samasource use local tech-savvy Africans to support some of the big names in Silicon Valley, such as Google, Microsoft and Yahoo, in their artificial intelligence efforts. Also, in January 2019, Andela – a company which trains African software developers and engineers and outsources them to companies in the USA and Europe – raised $100 million in funding. The investment in Andela, which was led by an investment firm co-founded by former US vice-president Al Gore, comes after an earlier $24 million investment by Mark Zuckerberg of Facebook. These investments represent a significant validation of the potential of the outsourcing business in Africa. As the global digital economy expands, Africa’s large pool of young, tech-savvy English and French speakers presents a major attraction and promising opportunity for global BPO firms looking to serve the growing outsourcing demand from clients in North America and Europe. The outsourcing space will surely be one of the top business opportunities in Africa to watch this year. Africa’s film industry is the second largest in the world (by volume) after India’s Bollywood, and produces more films than America’s Hollywood. 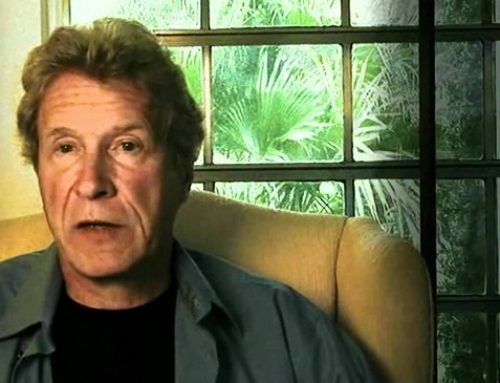 But the industry’s history of low-budget and low-quality productions, and a distribution system dogged by piracy, have held back its potential. Despite these shortcomings, African movies have proven to be very popular on the continent, and among the African diaspora. However, this year could mark the point that Africa’s film industry truly goes global. The global video-on-demand (VOD) revolution led by Netflix could very likely change the game for film production and distribution in Africa. 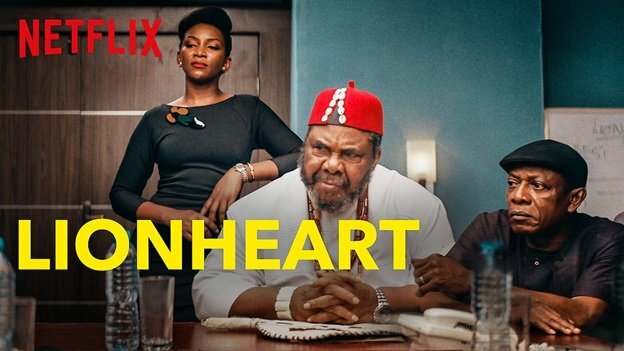 Even though Netflix has been involved in exclusive distribution arrangements for African films like The Wedding Party, October 1, and Beasts of No Nation, the company’s recent purchase of the worldwide rights for Lionheart, its first original film from Nigeria, and its plans to order an African original series in 2019, signals the opening of Africa’s film industry to a global audience. Netflix’s massive $13 billion annual budget for original productions will be competing for content against big African players like MultiChoice and IrokoTV, and other emerging distributors on the continent. 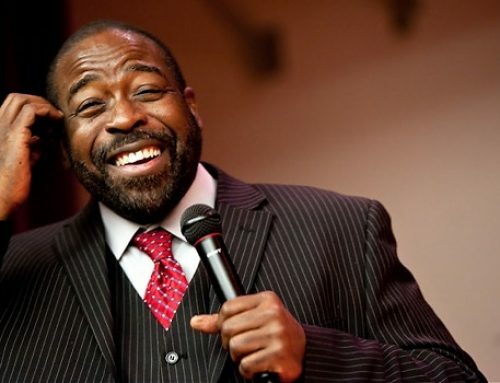 With better funding and strong competition for their content, African film producers will be telling more compelling stories, and will be empowered to create blockbuster films that can reach audiences around the world, from New York to Tokyo. Africa’s local cinemas are also getting a boost. With more than $60 million invested in developing new cinemas over the last decade, the growth in cinema visits has led to a rise in box office pickings, thereby cutting out the pirates and ensuring more money ends up in the pockets of film producers. In countries like Nigeria, the film industry contributes up to $3 billion to the economy. Beyond its ability to create a large number of jobs, a booming film industry in more African countries would have significant spill-over effects on local economies by supporting a wide range of small businesses. The market effects of the entry of international players like Netflix into Africa’s film industry will make it one of the best emerging business opportunities in Africa to watch this year. The combined impacts of rapid urbanisation, high population growth, and a strong economic potential means that Africa’s real estate sector will remain an interesting space for entrepreneurs and investors far into this century. But while there are different exciting segments in Africa’s real estate sector – from affordable housing and office spaces, to retail, and industrial property opportunities – the apartment hotel space is still relatively unknown, with only a few major players. Apartment hotels, also known as ‘serviced’ apartments or ‘long-stay’ hotels, are an emerging real estate niche that brings together the best of both a hotel and an apartment. The appeal of this offering is that residents get the privacy of a furnished and fitted apartment with the convenience of hotel services. On top of that, apartment hotels can cost up to 20-30% less than an equivalent extended stay at a conventional hotel. But where is the demand coming from? The rise in global business travel, a massive market that spends more than $1.2 trillion annually, is the big trend responsible for the growing demand for apartment hotels in Africa. As corporate mobility and the number of international job assignments rise, and more multinationals continue to push into emerging markets, the demand for accommodation by business travellers and expatriate workers in Africa is becoming more sophisticated. In 2015, there were only 8,802 serviced apartments in 102 locations in Africa. By 2017, the numbers had increased to 9,477 serviced apartments in 166 locations, a rise of 7.6% and 62.7% respectively. This shows the rising level of interest in the sector, according to the Global Serviced Apartments Industry Report. So far, it is cities such as Nairobi, Lagos, Accra, Addis Ababa, Abidjan, Dakar, Dar es Salaam, Abuja, Johannesburg and Cape Town that are experiencing marked growth in the emerging apartment hotel sector. 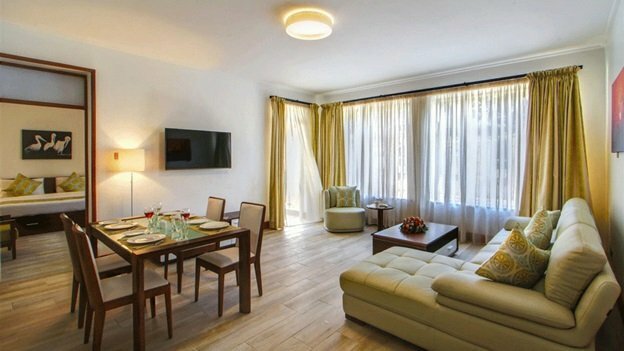 In recent years, new apartment hotel projects that have entered the market include the Executive Residency by Best Western in Nairobi, Marriot’s Residence Inn in Accra and Lagos, the Novotel Suites in Marrakech, and Radisson Blu’s Hotel and Residences in Cape Town and Maputo, among several other apartment hotels on the African market. As Africa’s business and investment opportunities attract more global players to the continent, the size, scale and sophistication of apartment hotels on offer will very likely evolve as this interesting niche of the real estate sector goes mainstream. 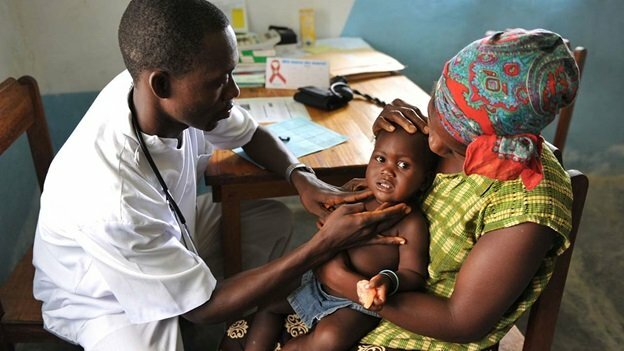 Africa’s healthcare scene is brimming with interesting problems. No other industry in Africa presents as much opportunity to transform lives, and the potential to create lasting impact in local communities. 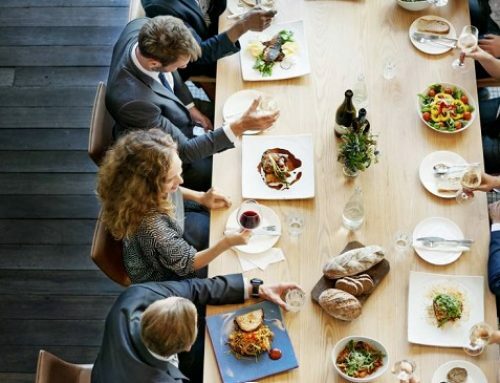 It’s no surprise that the entrepreneurs and investors who work in this space are deeply passionate people. Africa has just about 15% of the world’s population but bears roughly 25% of the global disease burden. 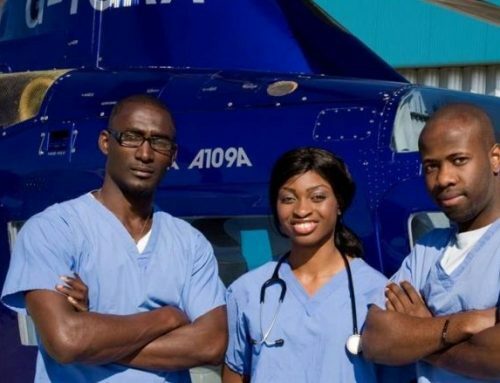 The continent also does not have enough doctors, nurses and health professionals. This crisis situation presents a range of complex and high-stakes problems. And that’s exactly what makes Africa the most exciting place to be for creative problem-solvers who are passionate about healthcare. Take health insurance for example. Private health insurance is expensive for most people, and many countries in Africa do not have a functional and accessible government-managed health insurance scheme. As a result, many poor people, especially in rural areas, are locked out of the formal healthcare system because they cannot afford the bills. 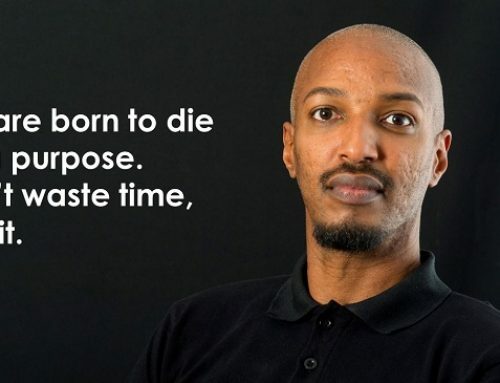 In Tanzania, one healthcare start-up has found an innovative way around the problem. By using mobile money, Jamii successfully introduced a micro-health insurance product that allows low-income earners to pay a monthly premium of $1. So far, Jamii has raised up to $1 million from investors and enables thousands of low-income families to access 400 hospitals on its insurance network. Another interesting area is locally-inspired preventative medicine. Diseases like malaria kill thousands of Africans every year. And the pharmaceutical industry makes a fortune from millions of dollars spent on malaria drugs. Still, many poor people can’t afford medicines and the disease still kills close to 500,000 people annually. But rather than try to find the best cure for diseases like malaria, or produce drugs that most people can’t afford, why not prevent mosquito bites in the first place? 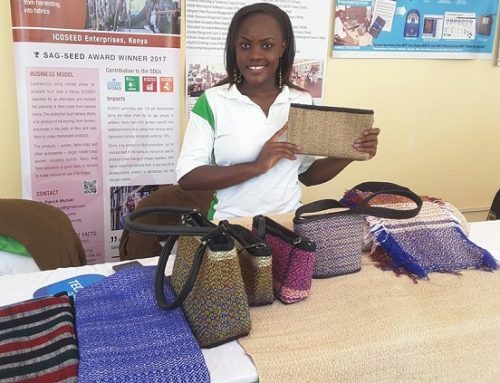 While global efforts like insecticide-treated mosquito nets have not been quite effective, local entrepreneurs like Burundi’s Ginette Karirekinyana and Uganda’s Joan Nalubega are taking a more preventative approach by integrating natural and organic mosquito repellents into products, such as soaps and body lotions, that people are more likely to use on a daily basis. 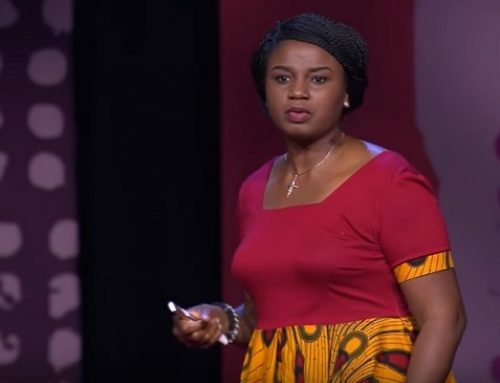 A growing number of entrepreneurs on the continent are proving that locally-inspired solutions to Africa’s healthcare problems can be effective. And as they continue to apply technology, creativity, and local materials to the continent’s healthcare challenges, we will surely be more new, interesting discoveries and breakthroughs during the year. What is the hottest emerging industry in Africa right now? It’s a tough question. But if I had to make an informed choice, it would be digital financial services, popularly known as ‘fintech’. No other emerging industry in Africa is attracting as much international capital and backing like fintech right now. In 2018 alone, fintech startups in Africa raised $284.6 million from investors, almost half of all the funding raised by African tech startups in the whole year. It’s hardly surprising why there is a gold rush in Africa’s fintech industry. Over 60% of Africa’s adult population is unbanked. Up to 350 million of them own and use phones, but fewer own a bank account or have access to formal financial services. That’s a huge market indeed. By using mobile phones and the internet, fintech entrepreneurs across the continent are deepening financial inclusion and unlocking incredible market opportunities in financial services. And the opportunities range from processing payments and money transfers, to savings, and access to credit. 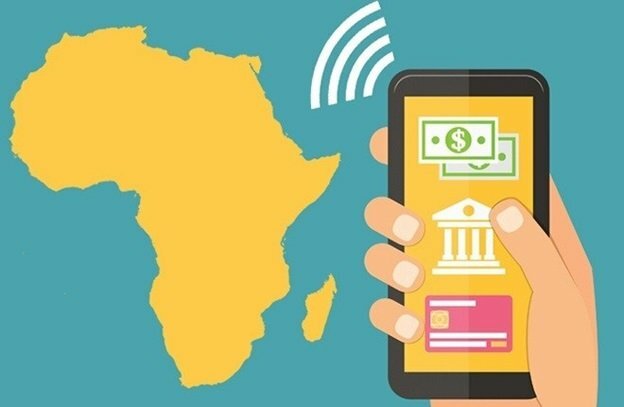 Current estimates project that over the next 3 years, Africa’s fintech industry will grow by at least $40 billion and contribute up to $150 billion to Africa’s GDP by 2020. It’s this huge market potential that’s making investors fall over themselves to invest in African fintech companies. 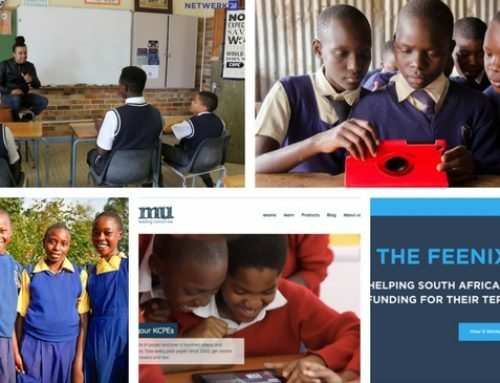 In the last 12 months, two fintech startups from Kenya (Branch and Tala) raised $135 million. 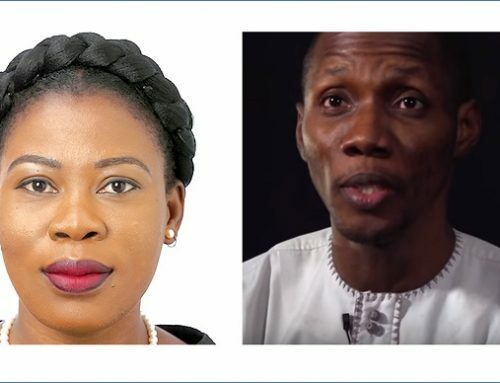 In Nigeria, four companies — Cellulant, Paga, Paystack and Lidya — attracted a total of $72.4 million. 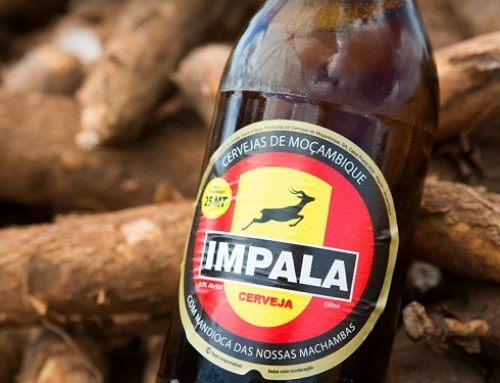 And from South Africa, Jumo and Yoco received $68 million. These are only the headliners. Several other fintech startups like Tunisia’s Expensya and Nigeria’s Piggybank, among others, raised lower amounts that were still impressive. While the amount of capital that’s flowing into African fintech startups may be impressive, it’s who these funds are coming from that’s even much more impressive. 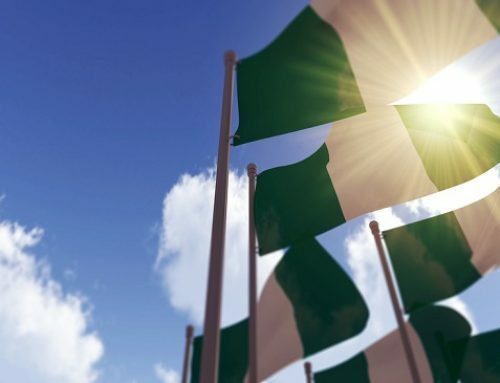 For example, Stripe and Visa, two global payments giants, were part of the investment deal in Paystack, a promising 3-year old Nigerian digital payments startup. Other interesting investors in this emerging industry include Goldman Sachs, Y Combinator, Partech, Omidyar Network, and China’s Tencent. As the fever for fintech in Africa continues to grip local and international investors, the industry will very likely remain one of the top business opportunities in Africa to watch this year. Across Africa, the buzz on the music scene is palpable. What used to be the domain of hobbyists and passionate creatives is now morphing into a multi-million-dollar industry. Like hip hop — the music genre exclusively developed by inner-city African Americans in the 1970s that later became a billion-dollar global phenomenon — the emergence of Afrobeats from Africa feels almost the same. 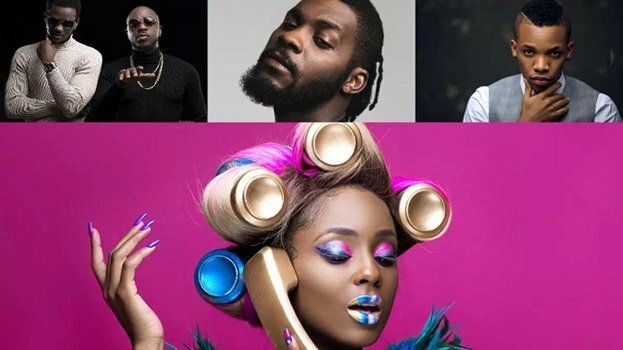 Buoyed by the global reach of social media, Afrobeats is turning out to be Africa’s major cultural export, with songs and artistes from the genre featuring on Billboard charts, music festivals, and radio stations in the USA, Europe and the Caribbean. 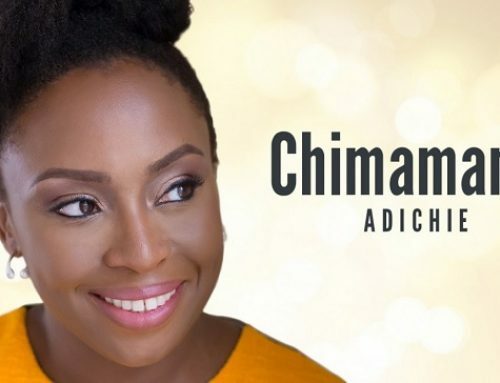 Between 2017 and 2021, PwC projects that Nigeria will be the world’s fastest-growing market for entertainment and media, with music sales expected to reach $88 million in 2019. The growth trajectory of the music industry feeds into a larger market for art, movies and fashion that could be worth $8 billion in 2019. As a result of the huge potential of this market, Africa’s burgeoning music scene is attracting heavyweights in the global music industry. Music distribution giants like Apple Music, Spotify, and Tidal have touched down on the continent. Last year, Tidal entered a partnership deal with telecoms giant MTN to launch its streaming service in Uganda and Nigeria. Spotify has also opened shop in South Africa. Even the leading seller of smartphones in Africa, Transsion Holdings, has joined the fray. The Chinese-owned maker of phone brands like Itel, Infinix and Techno has launched its own music streaming service known as Boomplay, with over 30 million subscribers now on the platform. The big music record labels are also taking positions in the African music market. In July last year, Universal Music Group — the world’s largest music company – opened offices in Abidjan (Cote D’Ivoire) and Lagos (Nigeria). 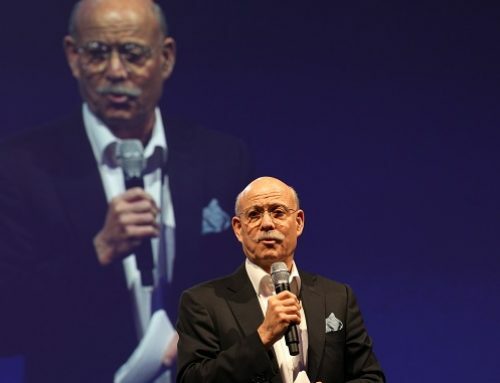 Sony, another music giant, set up its Africa offices in 2016. And for the first time in a very long time, big investments are going after local African music labels. In March 2018, Universal Music Group bought a minority stake in Kenya’s AI Records, one of East Africa’s biggest music labels. And recently, private equity investors participated in a multi-million-dollar investment deal in Mavin Records, one of West Africa’s biggest labels. The rising global interest and inflows of investment into Africa’s music industry could, like America’s hip hop music genre, blossom into a billion-dollar global sensation that exports the continent’s colourful and energetic culture, while creating wealth and thousands of jobs in the process. Looking at the chart above gives you a feel for what happens when a dam bursts. In the last 12 months alone, the investments flowing to African businesses grew by almost 300%. This is amazing given that many economies on the continent did not even grow by up to 3% during the period. While funding from local investors is growing, most of the funds came in from investors outside Africa; from the US, Europe, and Asia (particularly China). And who are these global investors that have developed a taste for Africa, and are now pouring more money into young businesses on the continent? They range from global investment banking giants like Goldman Sachs, to Silicon Valley players Y Combinator and Partech Ventures, to international development funds like the Global Innovation Fund, and big private companies like Stripe, Visa, and China’s Tencent. 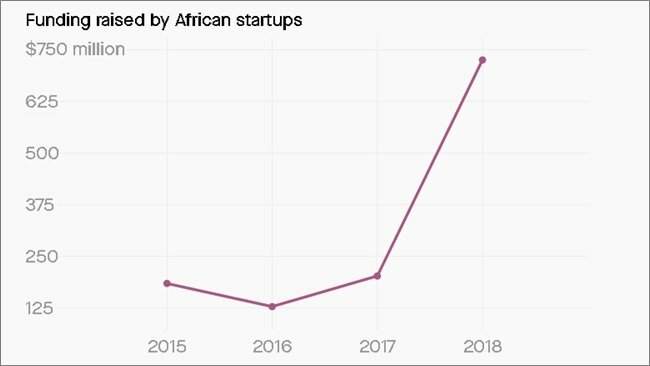 Interestingly, it’s not just the total size of investments in African startups that grew in the last 12 months. The size of the individual deals grew as well. More startups on the continent received funding above $5 million than at any time in history. Last year, 30 startups raised individual rounds higher than $5 million in 32 deals valued at $626.9 million. Investors are sending bigger cheques to African startups due to rising confidence. They can clearly see how previous investments have helped these companies grow and mature to levels that require larger amounts of funding. So far, six key industries have been favoured by the investor deal flows, and the balance is skewed toward tech-based startups. They are fintech, agritech, clean energy, eCommerce, education technology, and healthcare. The recent upward spurt in investor interest and confidence in African startups sends a clear signal to the world. 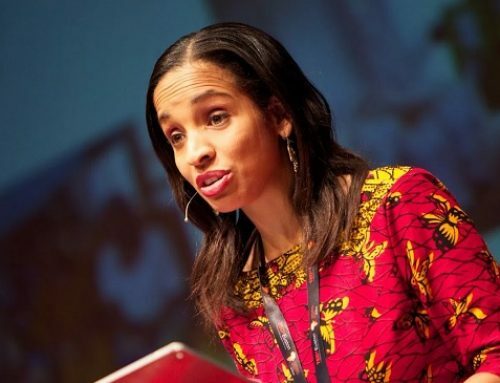 Africa’s emerging market only favours the bold and the brave who can look beyond the continent’s stereotypes and see the dazzling potential of its startup scene. This year, the volume of investments in Africa’s startups could very likely break the $1 billion ceiling. And where we go from there is anybody’s guess. So, which business opportunities in Africa do you see? When you look at Africa, which of its faces do you see? Do you see a continent overwhelmed with so many problems that have to be escaped from? Or do you see these problems as opportunities in disguise that could unlock significant rewards in terms of market value, wealth, and jobs? In the end, it’s still the same continent. But the perspective you take on Africa can make a world of difference. 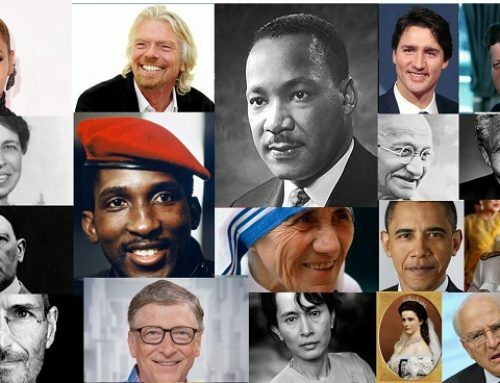 And in 2019, only those smart, ambitious and creative people who can find innovative solutions to Africa’s tough problems will have the chance to make a big impact in the world, and make a lot of money in the process. If you found this article insightful, please forward it via social media or email to the smart people you know. 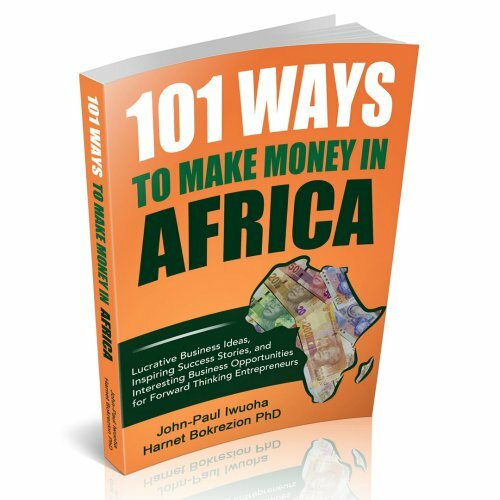 If you like the business opportunities in this article, you’ll love our book, “101 Ways To Make Money in Africa.” The book has been read by thousands of entrepreneurs and investors in 45+ countries, and it will open your eyes to several amazing business opportunities through the ideas and success stories it contains.